UBSSG Elections 2019 - A Success! You are here: Home News & Articles UBSSG Elections 2019 - A Success! 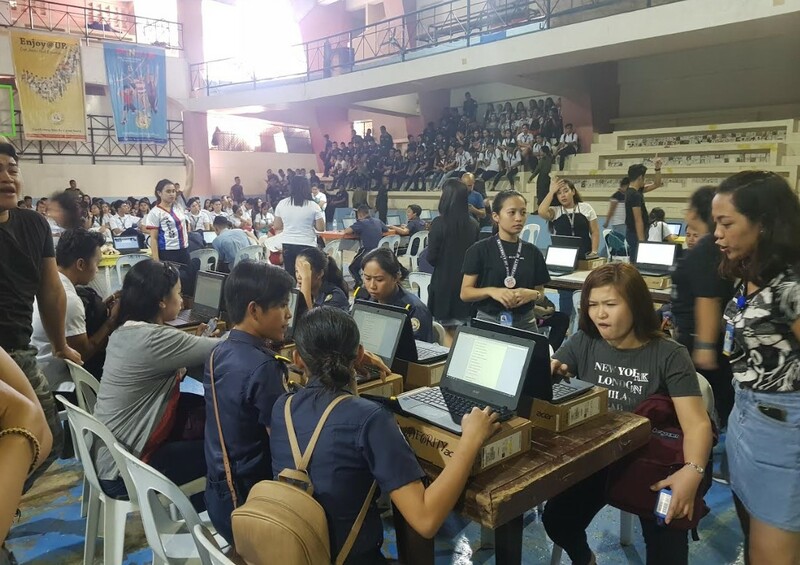 New Voting System, Implemented - UBians turned out in droves and exercised their rights to suffrage as they elected new student leaders during the annual University of Bohol Supreme Student Government (UBSSG) Elections last February 22, 2019, at the UB Information Resource Center and Gymnasium. 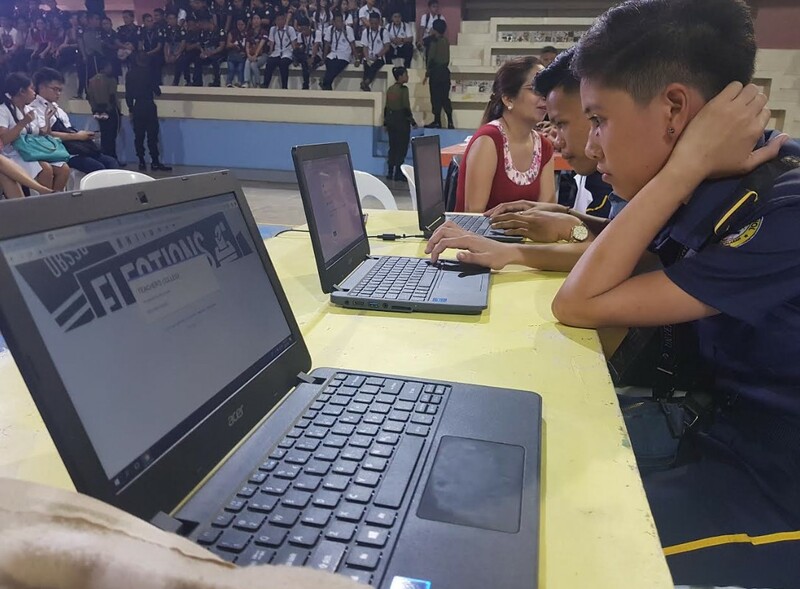 The 2019 elections which chose the leaders who will take the reins of student governance for the school year 2019-2020 marked the first time an electronic voting system was used in the university. This remarkable online poll was organized by the outgoing UBSSG officials and supervised by Engr. Lemuel Belarmino, Head of Student Affairs, James Emmanuel Tabigue, Student Activity Assistant and Micah Bornea, Chairperson of Commission on Elections. 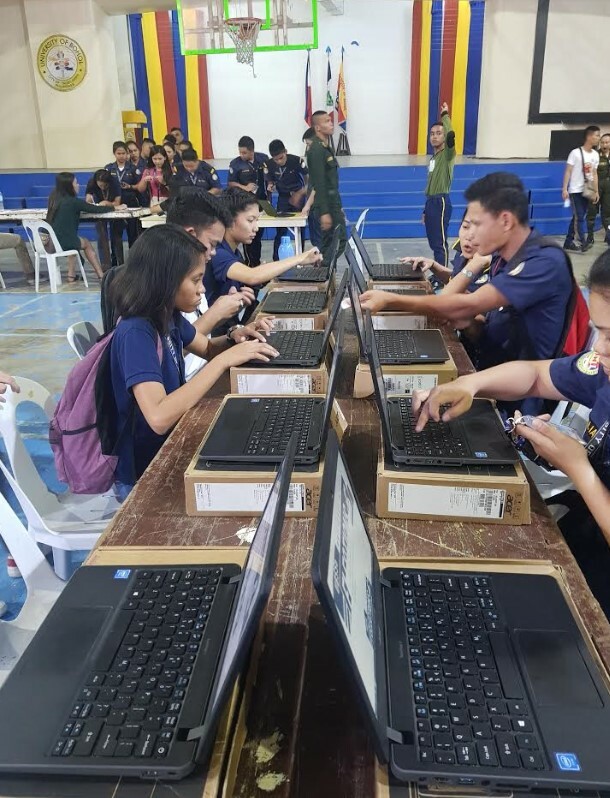 The new electoral system was successfully executed through the collaborative efforts of the outgoing national and local officers, faculty members as well as ROTC officers and criminology interns who helped in managing the crowd and keeping the election in order. The voting started at 8:00 in the morning and ended early at 4:00 in the afternoon with the instant transmission of the election results shortly after.